It’s easy to let your imagination run wild when making big plans. After all, it’s exciting to develop a new marketing campaign and launch new products. What’s more, ambitious goals help professionals stay motivated and explore new possibilities. However, successful marketers realize the value of making small, informed decisions on a consistent basis. Most businesses recognize the importance of writing content on their website in the form of blog posts or pillar pages. Nevertheless, making mistakes within your content can negatively color a visitor’s opinion of your entire company. In this instance, we’re not talking about grammatical, or stylistic errors (damning as those can be); rather, the most damaging errors are plain old factual mistakes and slip-ups. If you don’t take the time to edit blogs carefully, you could risk turning off potential customers with low-quality work. More and more consumers search for and purchase products without ever speaking to another human being. E-commerce stores and automated features have eliminated the need for most interactions between salespeople and consumers. On the other hand, when a customer reaches out to your business, it’s critical that you respond to them in a timely and helpful manner. Failing to address a customer’s concerns will sour their view of your company. And since consumers have plenty of platforms to review your service, the last thing you can afford is to alienate once loyal patrons. Every business owner wants to optimize their digital ad spend and garner the highest ROI possible. In order to achieve this, though, marketers need to zero in on the copy within individual ads. An overarching ad campaign might sound great on paper, but if you don’t have effective ads to support it, you’ll never get the returns you’re looking for. Identify negative keywords, write smart, witty ad content, and work to boost your ads with strategic placement and timing. The better you understand your customer base, the better you can market to them. So having the most advanced data and analytics technology on your side is a must if you want to dig through the minutiae to discover what really makes your customers tick. Consider reaching out to a company like Advocado for more information on this subject. Remember, partnering up with an outside source might just provide you with tools you need to get the details exactly right and market more effectively as a result. For any business person, networking is a vital activity. It is through networking that you will expand the number of contacts available for you to call upon. The contacts that you make through networking will range from professional acquaintances to potential future business partners. Any entrepreneur worth their salt can host a networking event. But, putting on a networking event that really stands out in the minds of attendees takes a little more thought and finesse. If your networking is just one of many almost identical events that attendees go to that week, it isn’t going to be particularly memorable. 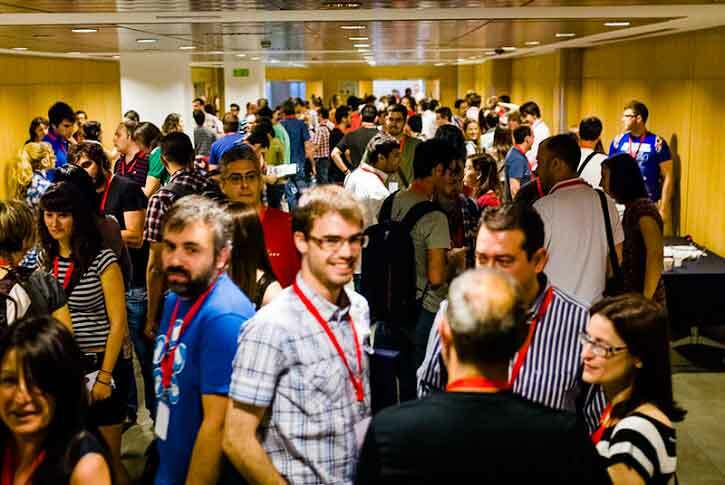 If attendees don’t remember you or your event, then you have failed in your most essential goal of hosting the event. Use the following tips as a guide to putting together networking events that are truly unforgettable. We’ve all witnessed some truly awful and misguided uses of technology. Technology is all around us and is now an integral part of our everyday life. It is, therefore, unsurprising that, like everything else, technology is often misused and misunderstood by those who use it. However, if you use technology in an inventive and original way, then it can greatly enhance your vision and your message. Just as importantly, if you use technology in a creative and interesting way, then it is much more likely to stick in the minds of your audience. This is an excellent one to tie in with your plans regarding technology. Technology allows for unprecedented levels of interaction between people and their environments. Some networking events have started making use of RFID technology (the same technology in NFC bank cards) to alert attendees when they are near other people who are of interest. The more interactive you can make your event, the more memorable it will be for attendees. Not only will they remember the event itself more clearly but interactions with other attendees will help to solidify new relationships and contacts. One way of instantly setting your event apart from those of everyone else is by taking it away from the usual settings. Attendees have had enough of networking events hosted in a boardroom or conference hall. Give them something new and exciting. You could even go the whole hog and host your networking event during some kind of group activity. Check out this Cincinnati Escape Room for an example. Escape rooms often tick all the boxes for the tips given here, so they are an excellent choice for a networking event with a difference. Networking is part and parcel of being an entrepreneur. No matter what industry or sector you work in, you will eventually find yourself in a situation where having contacts can make all the difference. Next time you host a networking event, make sure it is one that will not soon be forgotten. The above tips will get you started. As always, though, creativity is the key. Although online marketing is a new normal for millions of business owners across the globe, not every company leader has tapped into the power of digital advertising. If this is the case for you, now is the time to make institutional and individual changes which enable you to optimize profitability and power in the ecommerce sector. 1. Optimize Your Online Store. As many digital advertising mavens know, keeping your website in optimal condition plays an integral role in helping you optimize sales. Because people can and oftentimes do make purchases through a company’s website, you want yours to be as accessible and aesthetically appealing as possible. Luckily, there are many web optimization techniques you can implement to make this happen. One is by using online store platform products that enable you to make your site template visually appealing. In addition to optimizing your online store, make sure that you get in the habit of developing great content. This technique is important because it increases the likelihood that people will become and remain interested in your product or service line. There are multiple content strategies you can deploy to realize this objective. One is the inclusion of content elements such as infographics. Infographics are wonderful because they enable your audience to attain valuable information in an easily readable format. Typically, the infographics will include bar graphs, charts, or other mediums that make statistical data easy to understand. Infographics will also typically come in innovative or aesthetically appealing formats, and this eye-catching element can cause people to stay on your site longer. 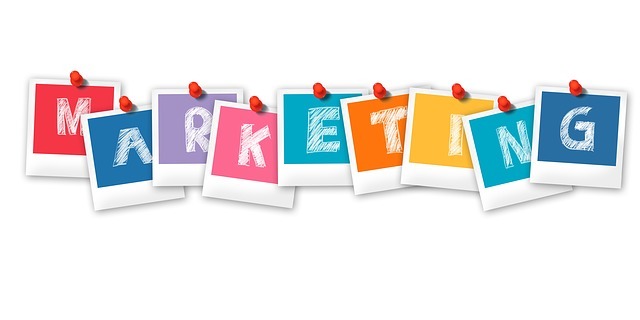 Note that while developing great content is an important digital marketing strategy, the other part of the content advertising process is ensuring that many members of the target audience see what you’ve put together. There are many ways that you can make this happen. One is by doing target market research to determine things like which social media channels the audience regularly uses to connect with others. This could be anything from Twitter to Facebook to Pinterest. 3. Make Social Media Optimization (SMO) A Must. As you may have gathered from the previous paragraph, social media is important in the ecommerce sector. This is the case because millions of people across the globe regularly use social channels to promote causes, shop, connect with family members, etc. As such, you want to ensure that you’re using these channels to accelerate and optimize communication with your target audience. After you’ve figured out which channels your unique audience uses regularly, it’s time to start developing a professional yet personable profile through those mediums. Then you’ll need to develop and implement specific strategies that will put the relationship-building process in full effect. This can include anything from a Twitter poll to a Facebook contest. Even putting together an Instagram account where you regularly post aesthetically appealing or otherwise interesting photos can help. Three digital advertising techniques that can push your business forward are listed above. Start integrating these strategies into your existing marketing plan so you can begin to take the ecommerce world by storm! 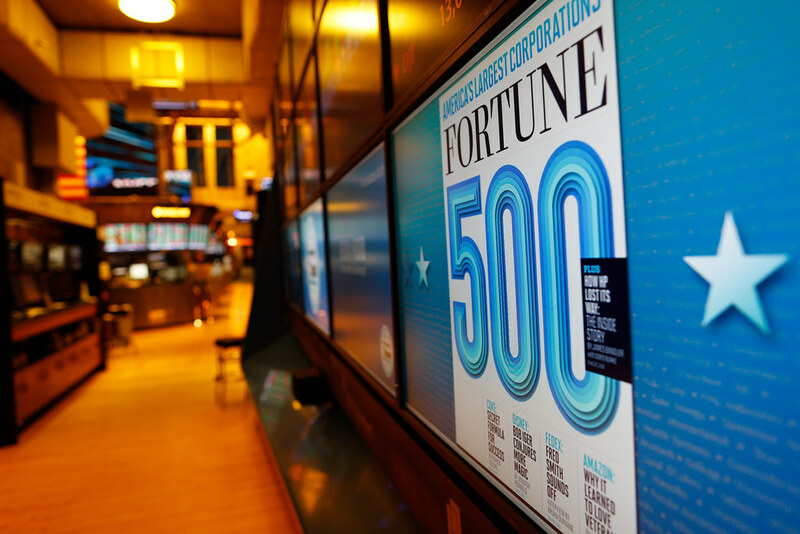 The Fortune 500 list, based on revenue research and compiled by Fortune Mag, is a list of the top 500 corporations of the United States. Companies are added to this list based on the measurement of their gross revenue. The Fortune 500 isn’t the only list outlining the best of American businesses. Forbes compiles a top 500 private corporation list, Fortune compiles a global 500, and Business Week compiles a global 1000. However, none of these lists are as prestigious as the Fortune 500. This list defines American business. Ranking on the Fortune 500 list means the corporation wields lots of power, and even influences government policy on a regular basis. Which is to say, there are a lot of things to be learned from Fortune 500 Companies. 1. They foster solid communication and teamwork skills. Major, successful corporations recognize that success and failure are team efforts. They know good and transparent communication is key to keeping operations running smoothly. Good communication is essential throughout an entire company. 2. There is a focus on intensive learning. By focusing on learning, Fortune 500 companies enable their employees to consistently update their skills and contribute more to the company. Intensive learning leads to strong ideas, unique content, and a competitive edge. Knowing employees are constantly updating their skills, learning, and generating strong ideas helps employers allow their employees do their jobs with minimal interference. Successful corporations facilitate employee development and growth. Some companies, such as Agilent Technologies (Fortune 500 2017), work to create intensive pre-training exercises like interactive webinars, and e-learning opportunities. 3. Strategic planning and goal-setting is critical to success. Fortune 500 companies have a clear vision of where they want the company to go. This vision stems from top management who provide a sense of what the corporation is about, and what they want it to be. Strategic planning allows companies to chart a course of direction, goals, and action in order to reach their vision. Vision should be clearly communicated to employees as it’s used to help make decisions on a daily basis. A solid understanding of company vision, direction, and mission helps employees set goals, achieve them, and provide value to the corporation. Agilent Technologies in particular provides “post-training”, where employees learn how the individual training courses and programs align with the company values and goals. Monitoring employee performance also helps reach company goals. If goals are set for all major performance areas and feedback is given clearly and often, companies chart a course for success. 4. They know the importance of good branding. Strong marketing materials help businesses stand out among their competitors. A memorable logo attached to a reputable brand image goes a long way. Logos are a company’s first impression; the design and colors conceptualize a business. Many popular, notable logos belong to Fortune 500 companies because they know the value of brand identity. Fortune 500 companies are good examples of strong branding attempts and marketing materials. An analysis of Fortune 500 company logos offers insight into the characteristics of successful branding. How? These reputable companies are represented by memorable logos. This analysis shows it’s important to consider these factors in logo design: capitalization, font choice, color and color pairings. For example, an overwhelming 82% of Fortune 500 companies used two or less colors in their logo. It’s also important to consider whether your logo should include an image, text, or both. More than 2/3 of Fortune 500 companies paired images and words in the design of their logos. They use their brand identity in order to expand as well as engage on multiple social platforms. This increases brand recognition as well as engagement, increasing a corporation’s notoriety. 5. Fortune 500 companies are adaptable. Being able to stay with or ahead of the competition is what helps Fortune 500 companies generate so much success. Change is necessary over time. Not only does adaptability help give a company a competitive edge, it also helps them improve employee performance. Consumers needs and wants change over time. Corporations need to adapt and adjust to meet the demands of the consumer. Failure to do so means risking their place in the market to a corporation who will embrace change. Pepsi is a good example of a major corporation rising to meet change. There are strong trends in America towards healthier lifestyles. People want healthier options, and Pepsi is working to meet those desires in order to maintain their place on the market. Following a strategy of constant change, innovation, and adaptability is a key way businesses stay on top. There are a lot of things to learn from Fortune 500 companies as they are the best of American business. Replicating the characteristics of Fortune 500 companies can help improve your business and market strategy, company goals, employee contributions, and your ability to stay ahead of your competition. Improving relationships with clients should always be a priority if you offer your own accountancy services. Holding an online masters of accounting could well show clients you’re more than capable of serving them, but if you don’t have a knack for keeping your clients happy, you’re not going to be a success. Of course, you don’t want to constantly ring your clients to ask if they’re ok – they’ll only get spooked. But, there’s plenty you can do to keep them happy and improve relationships all the time. There’s a thin line between having a personal or professional relationship, but there’s no reason why you can’t have both. Being personal will show your clients you have their interests on your mind on a constant basis. A personal relationship will always ensure your clients opt for your services rather than your competitors. Always have an interest in what they’ve got to say and, when it comes to talking business, ask them how their family is and if they enjoyed their holiday – there’s nothing wrong with that whatsoever. A regular lunch is a good way to build relationships further on a personal and business level. Such occasions will also give you a chance to ask your clients what you can do more of to help their business or personal finances thrive. Again, this shows you have a huge interest in their custom, and small lunch efforts could be the difference in taking relationships further. Even if you’ve only recently achieved your online master’s degree in accounting at Maryville University, it’s simple efforts like these that go a long way. If you offer accountancy services to a small business, they’ll likely need to ask for your advice on a regular basis. You don’t want to just turn up at their door out of the blue regularly, but you can still set up appointments and be there for them if they need you. 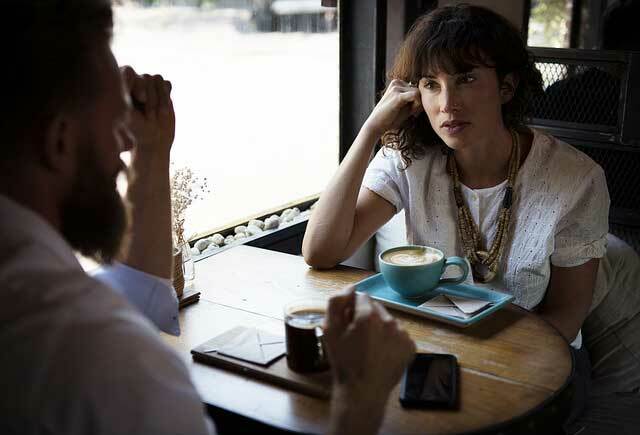 You’ll likely only sit in their office and drink coffee while discussing sports or fashion, but it’s still an effective way to improve relationships. Such visits show your clients you’re willing to make time for them, regardless of how small their queries are. Of course, you don’t want clients completely taking the biscuit out of your accountancy services, but for long-time clients, giving them more than you should is another effective way to look after clients. You could stop at giving them advice once you’ve filed their taxes or you could do less for their tax savings because they haven’t paid you ten bucks. However, small thoughtful gestures like the above will go a long way in securing relationships for the future. Even building relationships further with the smallest clients could be very rewarding. Just because a client is small now and only has a small business, doesn’t mean they won’t own 5 hugely successful businesses in the future. If that happens and you’ve looked after that client from the get-go, guess whose door they’re going to be knocking on requiring further services? Accounting firms face increasing competition from low-cost accounting software technologies and big-brand tax firms. Developing strategies to nurture client relationships and improve your firm’s processes can lead to significant growth. If you’re interested in diversifying your accounting business and providing improved value to your clients, here are five strategies that’ll help get you there. Take the time to shape and refine your business model. Your current model might be sufficient, but are there ways it could be improved? The trick is knowing when to build a new model to enhance growth. A new business model is often required to help leverage any type of new technology, and also necessary when attempting to reach a new group of customers or clients. Define your ideal client by considering the specialties that have evolved in your practice. Once you’ve profiled your target demographic, ask yourself a few questions. Which services have clients requested most? 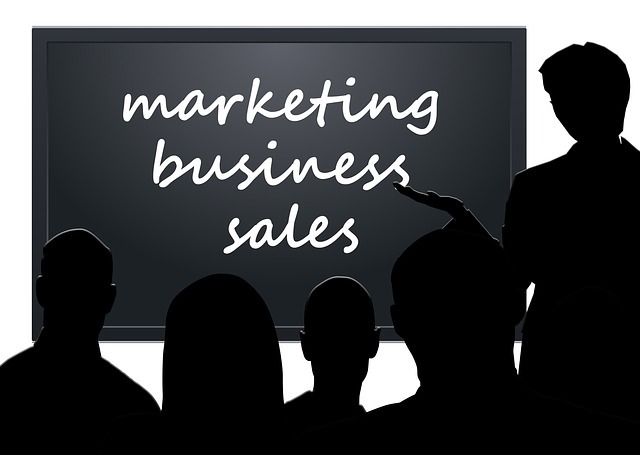 Have your cross-selling efforts been successful? Are you serving your ideal client, and serving them well? These questions can help you begin to polish your existing business model, ultimately contributing to refined in-house processes—and better value served. Content marketing has emerged as an invaluable tool for building relationships with current customers and attracting new business. The right content can establish your practice as a trusted expert in the field, create awareness of your brand, and expand your reach. 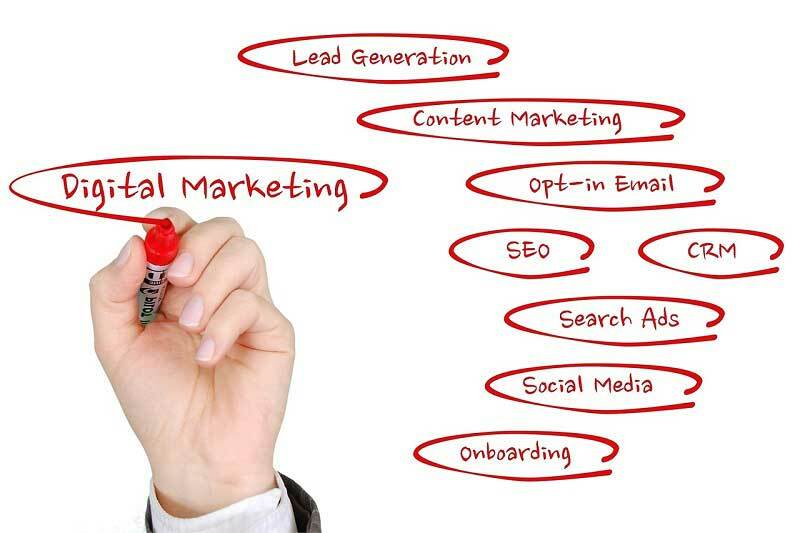 Content marketing involves the development and sharing of relevant, unique content that provides value to your target demographic. Create a cache of content that answers questions your audience may have, provides updates on tax-specific legislation, and offers easy-to-use tax guides. Once you’ve got a steady flow of content ready for publishing, identify the social media channels that host your target demographic.Don’t spread your social media budget too thin; use content where it has the biggest reach. If most of your clients are on Facebook, funnel your efforts there—don’t waste valuable capital on Instagram posts that will generate few leads (if any at all). Social media can be a tough beast to tame at first; if you don’t have the time or know-how, consider hiring a social media marketing agency like Firebelly. If your practice doesn’t already produce a monthly newsletter, it’s time to start. Consider your motivations. Are you looking to educate clients? Are you using your newsletter to improve brand awareness? Perhaps you’re helping your team develop thought leadership in specific areas. Outlining your motivations can dictate content creation, indicate who you should share it with, and help you measure the success of your efforts. It’s also important to know your audience. Understanding who you’re targeting can help you write content that provides value. Once you have a demographic in mind, begin customizing content. If you can’t write your own articles, purchase content from vendors—but be sure to seek out content that you’re able to edit. Putting your own spin on well-researched content will help your practice establish itself as an authority in the industry, without sucking up a bulk of your work hours. Modern accounting practices must embrace new technology. Cloud-based software can refine your in-house processes while offering better collaboration for your team and clients. Cloud capabilities allow your practice to solve client problems efficiently and quickly, while offering more convenience and flexibility to your team. 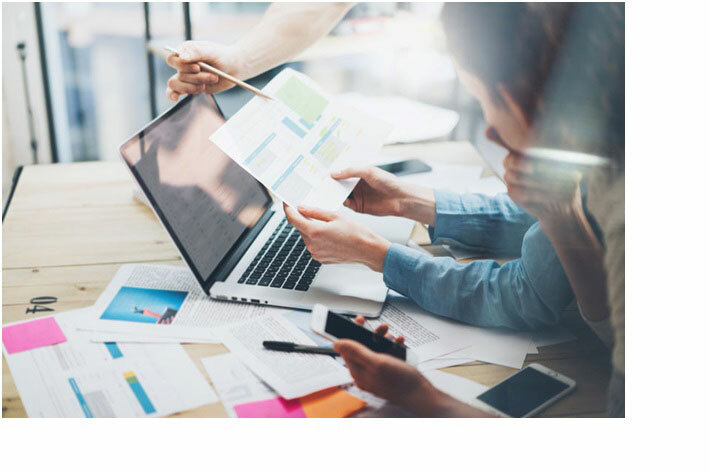 Using professional tax online return filing with Intuit Tax Online means benefiting from automatic data transfer, client collaboration, and progress tracking. All of these features are integral to success in today’s tax practice. Using cloud-based software can streamline your workflow and help you deliver better information and business advice to clients. Positioning your practice for success requires dedication and the right tools. Implement these strategies into your daily processes and keep an eye out for further ways to refine your business.